By John Simkin (john@spartacus-educational.com) © September 1997 (updated August 2017). 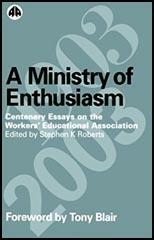 In 1903 Mansbridge turned again to the issue of workers' education, and in a series of three articles in the University Extension Journal, supported by one from Robert Halstead, a leading co-operative educationist, proposed the formation of an association to bring together working-class organizations with an educational role and create a new partnership with university extension. He demonstrated for the first time what became a remarkable ability to select the arguments best calculated to sway his readers or hearers. He coupled a warning about the social dangers of ignorance in trade unions and other workers' organizations with a declaration of the infallibility of the truly educated mind which university men found convincing. He showed also the quality which turns ideas into movements. Faced with estimates of substantial sums needed to launch the new body, he and his wife formed the Association to Promote the Higher Education of Working Men in their kitchen, financed by 2s. 6d. from Frances's purse. 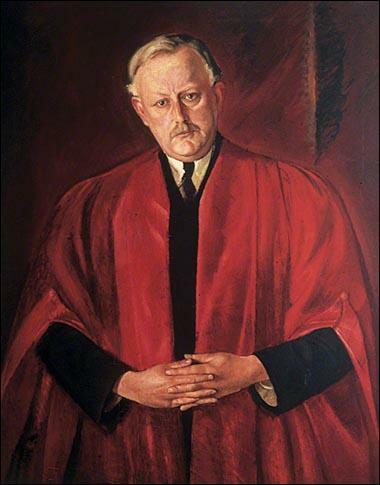 A ‘provisional committee’ (a stage army of Mansbridge's friends) planned the conference at Oxford, in August 1903, at which the association was formally constituted, with the blessing of leading co-operators, university extensionists, and churchmen. Mansbridge became honorary secretary. 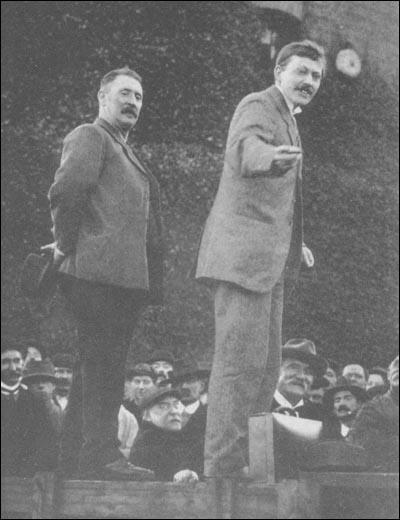 On 10 August 1907 Mactavish attended an important conference of the Workers' Educational Association (WEA) at Oxford, where representatives of the university and the working classes met to forge a co-operative plan for continuing education. The two sides failed to come together until Mactavish delivered an electrifying speech: ‘I claim for my class all the best that Oxford has to give’ (Mooney, 14). 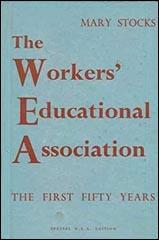 According to Albert Mansbridge, first general secretary of the WEA, that declaration moved the conference to create a joint university–WEA committee that included Mactavish. The committee's report, Oxford and Working-Class Education (1908), proposed the creation of what became the WEA's distinctive pedagogical vehicle: tutorial classes where university-based tutors brought higher education to working-class communities. Mansbridge argued that his demands were not partisan, as no civilised person, of whatever political persuasion, could actually oppose the universal spread of the benefits of education. This was not, and is not, true, but radical educational policies offered a safety valve for pressures in the WEA to breach the "non-party" rule. To most of the people who met him, Mansbridge's educational radicalism and burning zeal gave the lie to the accusation that his purpose was to draw the teeth of the workers and preserve the existing structure of class privilege. Many working men and women are bitter because the Church has acquiesced in the existing economic order, the materialisation of our mental condition which spoils their lives, damages their children, throws up slums, produces starvation at one end of the scale and gross luxury at the other, and hating, as they must hate, the existing state of affairs, they hate the Church and reject the gospel of our Lord. Mansbridge was then 33 years old and at the height of his powers, tall, good-looking, full of vitality. The West Country burr in his voice... was undoubtedly an asset. His personality was remarkable, it seemed to fill the office and his entry was like a battery being recharged. The effect he had on people was indeed striking; I have seen visitors leave his room with heads up, eyes shining, stepping as it they were walking on air, absolutely exalted. I am sorry if this sounds like a rhetorical exaggeration, but "exalted" really is the word; it was a phenomenon that had to be seen to be believed. His energy was amazing; he was constantly dashing about the country, starting new centres, converting the doubters, inspiring the faithful, stimulating the beginning-to-get-tireds into fresh activities. Mrs Mansbridge always kept his bag packed with duplicate night things, shaving kit and the like, so he had only to grab his case and rush off, knowing that everything needed would be there. All this expenditure of energy seemed to spring from an inner compulsion that would not let him rest. One might sometimes wonder if all these journeys were really necessary, but Mansbridge relied to a great extent on his personality to achieve his results, and where personal contacts were possible he was nearly always successful. He was a very good speaker - considerable natural eloquence charged with passionate and obvious sincerity. Other qualities that impressed me were his kindliness, his cheerfulness and self-confidence. There must have been many times when the financial position of the Association gave rise to considerable anxiety, but his worries were never noticeable to the ordinary members of the staff, and I have never known anyone who had fewer hesitations or doubts about matters of policy - his policy was the right one, and it was achieving results.